Almotamar.net, Google - ISLAMABAD, Pakistan — American and Pakistani officials said Friday they were increasingly convinced that an American drone strike two days earlier had killed Baitullah Mehsud, Pakistan’s enemy No.1 and the leader of its feared Taliban movement. While Mr. Mehsud was a pivotal figure who held together the loose and disparate network of militants in Pakistan, experts said his death would not end the violent Taliban insurgency, its ties to Al Qaeda or its push for Pakistani territory. Mr. Mehsud, a militant in his 30s who made attacks inside Pakistan his top priority, was blamed for the assassination of the former prime minister, Benazir Bhutto, and scores of suicide bombings, including at the Marriott Hotel in Islamabad, which killed more than 50 people last September. The drone attack was the result of months of closer cooperation by the Pakistani and American intelligence agencies. But his death would raise questions about how far the Pakistani authorities are now willing to go to crush the remnants of the Pakistani Taliban — and how hard the Obama administration would continue to push them. The Taliban insurgency across the border in Afghanistan was not expected to be affected. The Mehsud network in fact appeared to have weak links, as officials confirmed Friday that the intelligence about Mr. Mehsud’s whereabouts had come partly from informants inside the Mehsud network who had been bought off by Pakistani spies. Pakistanis who knew Mr. Mehsud said he had become less of an active operator since a serious kidney illness had become more acute. Several analysts also noted a tendency for military officials to focus excessively on one person — like Abu Musab al-Zarqawi, head of Al Qaeda in Iraq, whose death in 2006 did nothing to halt the violence in Iraq. The missile strike on Wednesday, from a C.I.A. drone, took place as Mr. Mehsud, a diabetic, was on a drip infusion for his kidney ailment, according to two Taliban fighters reached by telephone on Friday. He was being tended to by one of his wives, the fighters said, and according to Pakistani security officials who had viewed American video of the attack, apparently from the drone; they were together on the roof. They were both at the house of his father-in-law, Mulvi Ikramuddin, in the village of Zanghara, in South Waziristan. Mr. Ikramuddin’s brother, a medical practitioner, was treating him, the Taliban fighters said. A Pakistani counterterrorism official said that 12 people were confirmed to have been killed in the strike, including Mr. Mehsud, his wife, his father-in-law, his mother-in-law, one unidentified commander and seven bodyguards. Wednesday’s strike, according to American and Pakistani officials, was the result of steady intelligence-sharing between the countries’ intelligence services. The cooperation improved around the time of a secret visit to Washington in April by Lt. Gen. Ahmed Shuja Pasha, the chief of Pakistan’s Inter-Services Intelligence, to meet his C.I.A. counterpart, Leon E. Panetta. At the meeting, the two sides agreed, among other things, to focus attention on striking the Mehsud network, the officials said. The accuracy of American drone strikes against the Mehsud network improved soon afterward: the result of information gleaned by Pakistani intelligence operatives using informants inside the network, communications intercepts, and satellite imagery shared by the American and Pakistani intelligence services, according to the officials. American officials still would not say definitively on Friday that Mr. Mehsud was dead, in part because of the difficulty of getting forensic evidence to bolster their assessment. Yet they were clearly confident that the militant leader had been killed by Wednesday’s strike. American officials said the Obama administration would be eager to exploit Mr. Mehsud’s death in several ways. The United States is likely to press the Pakistani government to take more aggressive action against militant groups that use havens in Pakistan to launch attacks into Afghanistan. These groups include the Haqqani network, which is blamed for the attack against the Indian Embassy in Kabul last year; and the Afghan Taliban leadership, including Mullah Muhammad Omar, around the Pakistani city of Quetta. “Behind closed doors, the Americans will be saying, O.K., we’ve done you a big favor, now what can you do about Haqqani and the Quetta shura?” said Shuja Nawaz, director of the South Asia Center of the Atlantic Council in Washington, referring to the Taliban council. The Pakistani military now must decide whether to take advantage of the likely disarray within the Pakistani Taliban’s ranks to conduct a long-promised ground offensive into South Waziristan. In recent interviews with senior Pakistani Army and intelligence officials, however, few commanders said they wanted to carry out what almost certainly would be a bloody ground war in the mountainous, unruly tribal areas, preferring to continue to rely on helicopter gunship attacks, artillery barrages and F-16 airstrikes to pound the militants into submission. 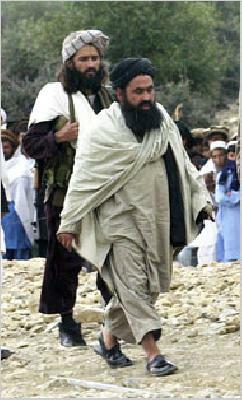 Taliban fighters said a meeting was under way to choose a successor from among Mr. Mehsud’s top deputies. Among the possible successors were the No.2, Hakimullah Mehsud, a young, brash and aggressive commander, once a driver, who until recently oversaw operations in the tribal regions of Khyber, Orakzai and Kurram, and who was credited with disrupting NATO supply lines to Afghanistan. Another possibility, Waliur Rehman, who became Mr. Mehsud’s right-hand man, is the most likely to succeed, several Pakistani officials said. The third is a man identified by Pakistani officials as Azmatullah Mehsud. The decision will be influenced by another militant group in Waziristan, the Haqqanis, with close ties to the Afghan militant leader, Mullah Omar. No matter who is chosen, the Pakistani Taliban is not likely to change its mission of attacking Pakistan. While Mr. Mehsud was clearly responsible for a wide range of attacks inside Pakistan, some Pakistani security officials believed that his network became so entwined with Al Qaeda and Punjabi groups that it was difficult to tell who was responsible for what. Mr. Mehsud’s group said it had carried out two recent attacks in Punjab — one aimed at the intelligence headquarters in Lahore and another against the Sri Lankan cricket team — but a lead investigator said evidence had pointed instead to Al Qaeda. The investigator added, however, that Mr. Mehsud was involved in two other attacks in Lahore, and cooperated with Al Qaeda by providing support and sanctuary in Waziristan. A senior Pakistani counterterrorism official said his death would give Pakistan an opportunity to exploit the power vacuum, but the chance would be very fleeting. “My only apprehension is that the new leader, to prove that the Taliban is alive and kicking and to boost the morale of the rank and file, might launch a couple of spectacular terrorist acts,” the official said.